Sharing Saturday is still open! Please stop by to share your child-oriented crafts and activities and be inspired by the amazing ideas already shared! So before Christmas Amy at One Artsy Mama shared some adorable felt tree ornaments her Little Crafter made by sewing. I had really wanted to do these with Hazel. I have the supplies sitting on my bookshelf, but we never got around to them this year. Then I saw these cute ornaments on Amazon. I thought that is what we could try to make with a sewing lesson. Today we had our sewing lesson. Now it was not her first, but it was the first time she stuck with it long enough and was successful. 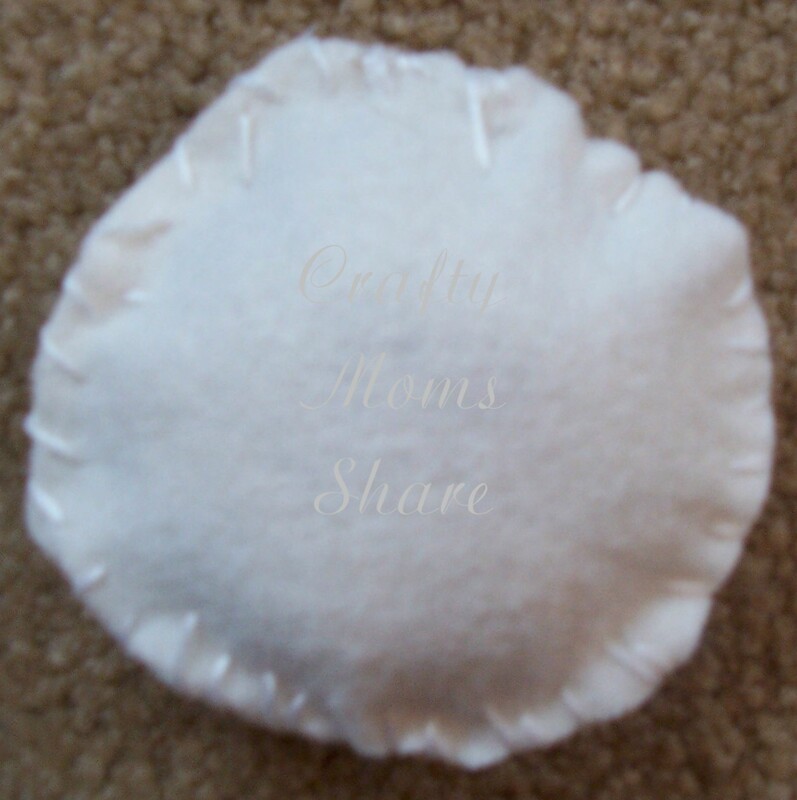 We sewed two white felt circles together. With some help she made it most of the way around. We put a little stuffing and some lavender into them and closed them up. By this time she was sick of sewing so we decided to glue on the faces. I then sewed strings on them so she could hang them on her seasonal tree. Not bad for a first successful lesson. We had a very busy morning crafting, so I will share some more of our crafts later in the week. 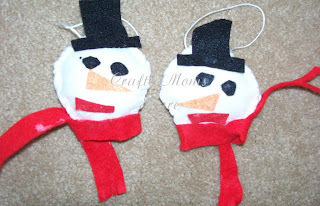 What a great project for a sewing lesson, they look so fun!